Welcome to Friday, let’s take our sweep! This week I spent an incredible two days in Fort Collins, CO with 12 master coaches within our field. Over the next few weeks I’ll be weaving this content + conversations + coaching into Fridays with Laura. …to that end, my goal in blog content over the next few weeks will be to take the content I will be sharing with you, dive deeper and create a “third mind” – a mastermind in collaboration – via these blog posts. It will take your participation to be successful – hope you’ll come along! All in, with you. How would you answer this question? Share it, leave a comment, let’s talk about it! Question #2 | What does your whiteboard look like? *Sharing with you what a successful whiteboard looks like. My challenge to you > keep these “vital signs” and “pipeline” updated weekly. This set up will show you exactly where you are with respect to your goals + keep you on pace to grow your skills. **Imagine what is possible if you are able to keep up this weekly habit? …and big hello to Friday night, Easter weekend, Earth Day upcoming and the official start to spring break with my family – welcome, all of it! Laura Smith | Co-owner | Windermere Real Estate Co.
I’m posting a few digestible bites below. We’ve posted a full set of talking points and reports for Seattle & Eastside, including a 2018 year in review of waterfront – click here. Need the password? Ask your office or text me – 206.227.7133! There you have it, your monthly dose of numbers! Digesting them, knowing them, understanding them helps you better educate your clients and position each of them for success. Need help getting there? Just ask. It’s Friday, let’s sweep!|can one have two masters? FWL encompasses a note from the editor today, oh that is me! Think about it? Can you? My answer: I don’t believe you truly can. Are you truly able to provide both parties all that is laid out within The Law of Agency? I know, the law allows for it. It doesn’t change my opinion. And when I see dual agency done, I seldom see it done correctly. A broker who wishes to be a dual agent must first obtain a separate written agency agreement with each party = typically a Listing Agreement is already in place with a Seller and a broker would too need and a Buyer Agency Agreement in place. The first page of the purchase and sale agreement isn’t good enough = that only handles the disclosure part. Windermere’s Standards of Practice mindfully crafted an Awareness Checklist around Dual Agency to help you determine risk and to help Windermere brokers either decline dual agency all together or take steps up-front to control risk. Curious to see it? Ping me, find your manager or track down your office’s Standards of Practice rep.
*Always consult your manager or designated broker before undertaking a dual agency, describing fully any risk factors. *If you are a seller or buyer (or landlord or tenant), or have an ownership interest in the seller or buyer, legally you cannot be a dual agent. Always consider alternatives to engaging in dual agency. Want to talk more around this topic, happy to chat. It’s Friday, let’s sweep the week! Time for another Top 10 – it’s been awhile. My Top 10 from this week…in digestible bites for you! All in Stories. Last week we launch our “All in, for you” campaign. This week, we had one of our own, a Sand Point broker, submit a story! Can you guess who this is? …I had a Bremerton waterfront listing last fall. I had just brought it to market and needed to get to the property to install my sign. I also had gotten a call from a potential buyer, who wanted to meet me at the property at 11:00 am. I live near the Sand Point office and quickly realized that with Montlake traffic completely backed-up, I would never make it to downtown Seattle by car, to catch the ferry to Bremerton by and make the showing appointment at 11. So I hopped on a Lime Bike and while holding my sign, biked to the UW light rail station. I then carried my sign onto the light rail and took it downtown to the Pioneer Square station. From there, I walked onto the Bremerton Ferry (just in time). I then arrived in Bremerton with about 5 minutes to spare. I walked form the ferry terminal to the listing with the sign under my arm. Success! 2. Did you every see Laura’s new tattoo? If you are curious, click here. 3. W Creative. A reminder of your in-house real estate creative services – designed for you, when you need them. W Creative website here. 4. Housing Department Slaps Facebook with Discrimination Charge. Article here. 5. Seattle is Dying. No political statement here – simply a statement in awareness being that this documentary is a very hot topic and we are deeply rooted in our communities. It’s one hour. Click here. 6. To the contrary of Seattle Dying…Seattle in Progress. I was reminded this week of a great resource in seeing what is being built in Seattle – here. 7. Moreland Insurance. We had a win this week in helping a client find insurance after having a difficult time. Moreland for the win. A reminder of this tool in your back pocket. Ps, insurance is one of those things we forget about in referring to our clients- however, those obtaining financing = turns out, they need it and need it in a timely fashion! Let’s give them a referral. I’ve been nothing but impressed with Moreland’s service. Moreland connection here. 8. The move! With our move to the new house I finally remembered to change my address! Geez, one might think I would have been on top of that detail sooner! Online resource here. 9. Did you know? Did you know we have a Windermere Form (WRE Form 28) entitled, Windermere Customer Agreement – No Agency Between Buyer and Broker. We had a need this week to put this in Agreement in play = broker writing a contract on behalf of a purchaser who was not entering into an agency relationship. I hadn’t thought about this form in a while – thought I’d share it with you. This form is located on the NWMLS > Xpress Forms > Additional Forms > Company Forms > Windermere > WRE Form 28. *or just ask me for it! 10. Go M’s! My march madness brackets are on the verge of being completely busted – however the good news, Mariners won their season opener – 12 to 4 vs the Red Sox. Go figure! Go M’s. Let’s play ball! Submit your stories here! We want to know them. On a personal note however, as the digestible bite for this week, I want to share a letter I and all other owners received from Jill Wood. I began today – March 22nd – at an annual fundraiser for Pocock’s Row to the Future benefit breakfast. Rowing was not a sport I was exposed to in my early athletic life – instead, it was a sport I was exposed to simply being associated with Windermere. One of the speaker’s today made reference to rowing being a sport that you move forward by looking backwards. As you digest Jill’s letter – think about how moving forward by looking backwards applies to us. 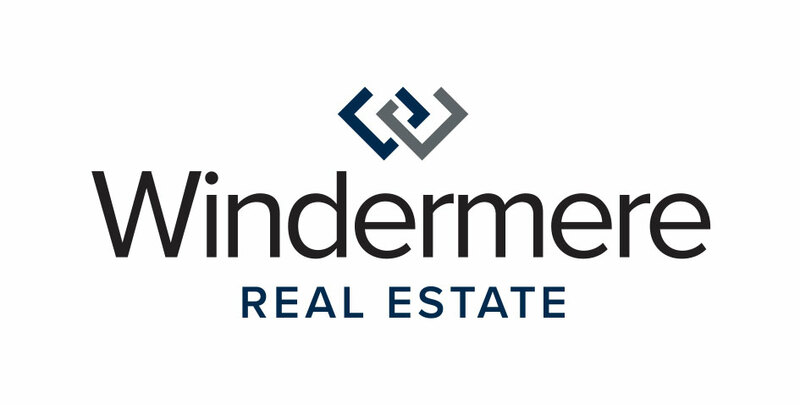 In bringing our Windermere brand to life, I believe it has everything to do with us moving forward. It seems like every day, I hear another inspiring “Windermere story” about an agent going above and beyond for a grateful client. As an organization, we almost take it for granted: this is a culture that attracts a certain kind of individual, and, once here, they’re surrounded by mentors and peers who take immense pride in the customer service they provide. This year, we have made a commitment to be counted among the most customer-obsessed companies in the world. The great news is, unlike most companies, you and your agents don’t really have to change single thing you’re doing. You just have to keep doing whatever it takes to connect your clients with their dreams, every single day. You just have to keep living out new Windermere stories. As you know, we’ve been working diligently to capture the essence and value proposition of the Windermere brand, to help all of us embrace what makes us different and begin to communicate those differences in a relevant, powerful way. We’ve been on “Mute” for too long. You and your agents have essentially been authoring stories that our competitors, new and old, simply cannot tell. In the next few weeks, you’ll be receiving our Brand North Star & Expression Kit, that will provide the roadmap to our future success in the face of a changing and increasingly competitive landscape. Some real estate companies are telling what essentially a technology story, about ones and zeroes. Our stories are more about connecting humans with their dreams. May the real estate company with the best stories win. As of yesterday, we came “off mute.” You + I will keep authoring stories worth sharing – those that are the essence of our brand. Ps, The Windermere agent stories you will see on tv ads and the like are all real. These ingredients are what differentiates us. There is zero need to keep our recipe locked in a vault for the years moving forward. “After 25 years as the Foundation Rep for Ballard I’ve made the difficult choice to step down and hand over the keys to Sara Medford the Ballard Windermere Foundation Representative. I’ve been on the look out for a replacement for the past few years and Sara came along with such leadership, energy, idea’s and focus that it made the decision very easy that I could turn over the reigns and to the foundation duties at our office knowing they are in such great hands. Mike Woods, your 25 years of footsteps in service has made a tremendous impact within the fabric of our local communities – one that is felt well beyond any one of us will really ever know. We all thank you for each footstep and in helping our Windermere Foundation to flex that beautiful muscle to help others in need. Can’t thank you enough! Ready for a few digestible bites in trends thus far in 2019? Too early to call after two months yet the early signs are in that we are returning to a multiple offer market. Multiple offers are happening, and with increasing frequency (still short of the frenzy of past springs). Interest rates are equal to a year ago and down ½ a point from a recent high in November 2018. *Payments on median closed sales price is down from $3,546 (February 2018) to $3,443 (February 2019). *Pre-inspections *Become eligible for Penrith’s Guaranteed Loan *After getting a Guaranteed loan from any lender, talk with Buyer Capital to make your offer as good as cash. Note: we’ll be working to run your thru this new resource in Buyer Capital! Listings are coming, see the new listings taken in the month for March through June for the past three years. …and oh, why not add a little luck to the mix as well! A special note: be on the look out next week for an email from Julie Day – WRE Services, VP of Marketing. Julie will begin to prime the pump for our media campaigns. Let’s just say that rumor has it, starting March 21st…Windermere will be hard to miss! Laura Smith, Co-owner | Windermere Real Estate Co.
It’s Friday, let’s sweep! Coming off of last week’s blog post around Seller Conversations I would be remiss to not share that indeed we did sell our home. Closing date is set for March 25th, 2019. In the immediate, I’ll give the play by play – the digestible bites, the x’s + o’s of how things played out. Once we are Closed I’ll write and podcast more in depth, specifically around the hidden things we brokers can naturally forget when we ourselves haven’t transacting in some time. For us, The Smith’s hadn’t transacted for 14.5 years. April’s podcast will run through the “emotional investments of buying and selling.” Maybe it is the psychology degree in me – this stuff fascinates me! And yes, our little family of four had BIG “feels” around all of this transition. List date of Wednesday, February 27th. We did decided to review offers on Monday, March 4th. As Sellers we had decided to control for all that we could control for prior to list. We did a sewer scope (that yes, turned into sewer line work = worth every penny). We staged (worth every penny). We had one bathroom we had not remodeled – we remodeled (worth every penny). We had windows washed. We had power washing done. We painted anywhere that needed touchup. We had carpets professionally cleaned. We refreshed landscaping, including new sod in the back. Once I knew we had controlled for what we could, I trusted in the process. The process worked. Monday, offer review date: We had two offers – one good, one GREAT. One broker presented to our listing broker, the other broker chose to present to us (hint hint: the GREAT offer chose to present to us). Both offers had pre-inspections. *Earnest Money was converted to a non-refundable deposit and is in our bank account. If this gives you any indication of spring market…well, game on. Closing date is quick: March 25th, 2019. I’m filling out our Sellers Packet from CW Title & Escrow today! Coming soon – post successful Close of our home: Podcast, episode #12, The Emotional investment of buying and selling. Any side bets if I can get my husband Chad on this Episode? Ps, I’m serious + hoping so! We’ll see if he reads this – stand by on that! If you’d like to dive even deeper around critical “Seller Conversations” + earn three clock hours + take a ferry ride to Bainbridge Island to do it all – check this out + register! Again, day trip anyone?